Please accept our personal invitation to Chabad of Briarcliff-Ossining's High Holiday Services. 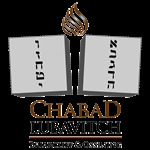 You may associate “High Holidays” with “Membership Dues.” At Chabad, we’ve never believed in such a model; there’s a place for everyone at all of our services – and the High Holidays are no exception! Our mission is to provide to every Jew a warm and friendly environment, one that comes neither with any obligations nor any strings attached. Our services are refreshingly casual: you will find them easy to follow and appreciate with insights and explanations. You don’t have to understand or even read Hebrew! You can come and go whenever you want. Stay for a few minutes or a few hours. We hope you leave feeling inspired, motivated and uplifted. You may see yourself as unaffiliated, Reform, Conservative, or Orthodox. At Chabad we see you as Jewish. No labels, no differences. The people who attend our services are residents of the Briarcliff-Ossining area just like you – fellow Jews. If you’d like to experience something a bit different this year, try us out. Come to any of our High Holiday services: you’ll be surprised how comfortable you’ll feel and how much you’ll enjoy it. If we've piqued your interest, please let us know you are coming so that we can welcome you appropriately. RSVP here. We hope to see you soon!